A specially designed, remotely controlled probe touched melted nuclear fuel debris at the bottom of a ruined reactor at the Fukushima No. 1 nuclear power plant in the first successful operation to inspect radioactive debris through direct contact. The plant’s operator, Tokyo Electric Power Co. (TEPCO), lowered the rod-like probe outfitted with a tong-like pinching device into the primary containment vessel of the No. 2 reactor at the crippled plant and used the machine to successfully lift pieces of the debris several centimeters. The removal of the fuel debris is the biggest challenge in the long process of decommissioning the reactors, which will take at least three to four decades. The lifting of debris is a ray of hope in the grim battle to overcome the formidable challenge. But the success was tempered by the fact that there were large chunks with slick surfaces the robot’s pinchers were unable to grab. The probe found that deposits in various conditions lie scattered about the bottom of the vessel. Some pieces are apparently entangled in the surrounding equipment. Tasks in and around the No. 1 to No. 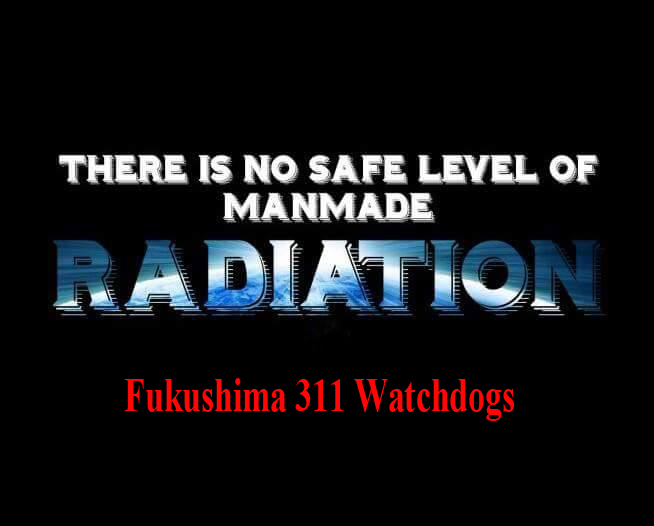 3 reactors at the nuclear plant cannot be carried out by humans because of dangerously high radiation levels. Nuclear fuel in the core of these reactors overheated and melted down after towering tsunami triggered by an epic earthquake knocked out vital cooling systems on March 11, 2011. A remote-controlled melted fuel probe device is unveiled by Toshiba Corp. at its facility in Yokohama, near Tokyo, Monday, Jan. 28, 2019. Toshiba unveiled the device carrying tongs that comes out of a long telescopic pipe for an internal probe in one of three damaged reactor chambers at Japan’s tsunami-hit Fukushima nuclear plant – this time to touch chunks of melted fuel. YOKOHAMA, Japan (AP) — Toshiba Corp. has unveiled a remote-controlled robot with tongs that it hopes will be able to probe the inside of one of the three damaged reactors at Japan’s tsunami-hit Fukushima nuclear plant and manipulate chunks of melted fuel. Toshiba has developed a remotely-operated robot to investigate debris in the bottom of the primary containment vessel (PCV) of unit 2 at the damaged Fukushima Daiichi nuclear power plant in Japan. A pre-investigation of the area directly below the pressure vessel – known as the pedestal – was carried out in January 2017 at Fukushima Daiichi 2 using a remotely operated camera on a telescopic probe. Photos taken during that investigation showed a black mass and deposits near a grating in the pedestal area, possibly melted nuclear fuel. The following month, Tokyo Electric Power Company (Tepco) sent a “scorpion-shaped” robot – developed jointly by Toshiba and the International Research Institute for Nuclear Decommissioning (IRID) – into the PCV of unit 2. Although the robot was unable to reach the part of the vessel directly under the reactor pressure vessel, the company said the information it gathered would help it determine how to decommission the unit. In January 2018, an internal investigation of the PCV of unit 2 using a suspended pan-tilt camera attached to a telescopic guiding pipe identified deposits and fuel assembly components at the bottom of the pedestal area. Yesterday, a robotic device developed by Toshiba Energy Systems & Solutions Corporation was unveiled that will be used to explore these deposits. The device – approximately 30cm in length and 10cm in width – features a camera, LED lighting, a pan-tilt mechanism, finger drive mechanism (tongs), radiation dosimeter and a thermometer. “Using know-how cultivated through previous investigations at the Fukushima Daiichi nuclear power plant, Toshiba ESS added a finger drive mechanism for touching the deposits to investigate their condition to the telescopic guiding pipe developed last January,” the company said. The robotic device is scheduled to be deployed to investigate the interior of unit 2’s PCV next month. In March 2017, Tepco carried out an investigation of the PCV of unit 1 using the PMORPH robot developed by Hitachi-GE Nuclear Energy and IRID. Equipped with a dosimeter and waterproof camera, it took radiation readings and digital images at ten different measurement points within that unit’s PCV. In July that year, it inserted a screw-driven submersible robot developed by Toshiba and IRID into unit 3’s PCV. TEPCO released three videos of its robot probe inspections inside unit 3. The videos provided some interesting information, showing some unexplained “blobs”, thick adhered substances, concrete spalling seen in fires, possible melted fuel formations, and thought to be solidified melted fuel around the lower end of a control rod. TEPCO think the graphite gaskets sealing the control rod holes in bottom of the reactor vessel melted allowing molten fuel to flow through these holes to drip down into the reactor pedestal. Structures in the pedestal show some of the patterns created by the thick substances that appear to have splattered around the containment structures. TEPCO cites 364 tons of fuel debris (melted fuel, internal reactor parts and control rods) to be expected at unit 3. The videos only show very small views of the damage found making it difficult to determine how much fuel debris was actually found inside unit 3’s pedestal. .This image captured by an underwater robot provided by International Research Institute for Nuclear Decommissioning on Saturday, July 22, 2017 shows heaps of solidified lava-like rocks believed to be nuclear fuel. TOKYO (AP) — Images captured by an underwater robot showed massive deposits believed to be melted nuclear fuel covering the floor of a damaged reactor at Japan’s crippled Fukushima nuclear plant. The robot found large amounts of solidified lava-like rocks and lumps in layers as thick as 1 meter on the bottom inside of a main structure called the pedestal that sits underneath the core inside the primary containment vessel of Fukushima’s Unit 3 reactor, said the plant’s operator, Tokyo Electric Power Co.
On Friday, the robot spotted suspected debris of melted fuel for the first time since the 2011 earthquake and tsunami caused multiple meltdowns and destroyed the plant. The three-day probe of Unit 3 ended Saturday. Locating and analyzing the fuel debris and damage in each of the plant’s three wrecked reactors is crucial for decommissioning the plant. The search for melted fuel in the two other reactors has so far been unsuccessful because of damage and extremely high radiation levels. During this week’s probe, cameras mounted on the robot showed extensive damage caused by the core meltdown, with fuel debris mixed with broken reactor parts, suggesting the difficult challenges ahead in the decades-long decommissioning of the destroyed plant. TEPCO spokesman Takahiro Kimoto said it would take time to analyze the debris in the images to figure out debris removal methods. What is believed to be nuclear fuel debris has accumulated at the submerged bottom of the containment vessel in the No. 3 reactor at the Fukushima No. 1 nuclear power plant in an image taken on July 22. Part of the collapsed metal scaffolding is seen at back right. Images captured on July 22 of solidified nuclear fuel debris at the bottom of a containment vessel of the crippled Fukushima No. 1 nuclear power plant show the enormity of decommissioning of the facility. Plant operator Tokyo Electric Power Co. said it will closely study the images from the No. 3 reactor’s containment vessel to determine the spread and amount of nuclear fuel debris. After analysis, TEPCO will decide on a policy to retrieve the fuel debris. The government and TEPCO plan to start the retrieval process in one of the three crippled reactors at the plant from 2021. It will be a formidable task, given that a method of recovering debris that is stuck to the floor has yet to be considered. The recent images were taken by a submersible robot, which was sent into the containment vessel on July 19, 21 and 22. The No. 3 reactor’s containment vessel is filled with water to a depth of 6.4 meters. On the final day, the remote-controlled robot was dispatched to the deepest part of the containment vessel. The images showed that pieces that fell from the structure and deposited material accumulated to a height of about 1 meters at the bottom of the containment vessel. In particular, what is believed to be nuclear fuel debris is scattered in the form of rocks in the area directly beneath the pressure vessel. The latest investigation has confirmed TEPCO’s assumption made through analyses that most of the reactor’s nuclear fuel melted through the pressure vessel and accumulated at the bottom of the containment vessel. It also discovered that the nuclear fuel debris has spread throughout the containment vessel. The images marked the first confirmation through a robot probe of a large amount of nuclear debris in any of the embattled No. 1 through No. 3 reactors.